It’s the end of the year—time for an end-of-the-year list! Here are some favorite 2018 checkouts from the staff at Capital Area District Libraries’ Williamston branch. Find them at the library or cadl.org/catalog. Becky: I’m choosing Dr. Bird's Advice for Sad Poets by Evan Roskos. James is a broken teenage boy who desperately clings to life through hugging trees and wielding Walt Whitman like a talisman. Jackie: A juvenile book called Greetings from Witness Protection by Jake Burt is my choice. US Marshals are looking for the perfect girl to join a family on the run from the nation's most notorious criminals. Julie: Dash Robot from CADL’s Library of Things was my favorite checkout. It’s a real robot you control using an iPad. He can make music, launch balls at targets and more. My family found Dash to be very user-friendly. 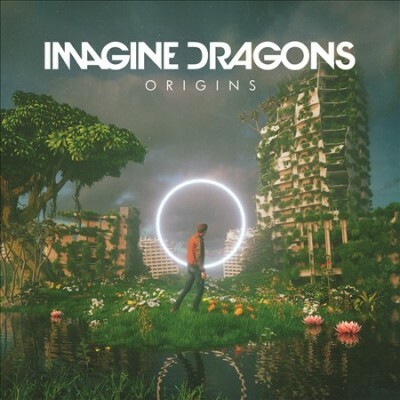 Storm: I loved the Origins CD by Imagine Dragons. It’s available instantly with CADL’s hoopla service. Just use your library card, and it’s on your phone and ready to play. Micki: The new wave of comics that branch out from the superhero genre into everyday life has opened a fresh world of books for readers, even formerly reluctant ones. All's Faire in Middle School is a stellar example. Erin: My choice is The Feather Thief: Beauty, Obsession, and the Natural History Heist of the Century by Kirk Wallace Johnson. I'm a huge bird nerd, and this is the true story of how a 21-year-old pulled off the biggest rare bird heist in history.